Ushering in a new Kata experience, I offer two categories of seminars, one for the martial artist and one for the non-martial artist designed to acquaint them with the health benefits of the kata experience. 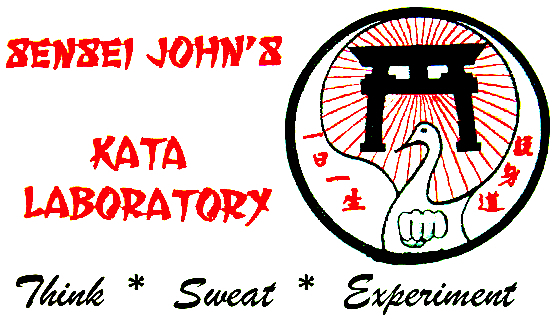 Will my unique Kata Laboratory benefit you? Do you desire more from your kata experience? Are you bored with the study of kata? Why does kata never seem to flow seamlessly with kumite? Am I merely dancing when I perform a kata? Has my kata education been nothing more than a morass of “technical corrections”? What are the spiritual aspects of kata? Isn’t it time for you to self-discover and build upon the kata, that you already know? I am so confident that you will find my approach knowledgeable and refreshing when compared to the old paradigm of “technical corrections” that I make an offer no other person has – You do not pay for my seminar in advance, rather, YOU ONLY PAY AT THE END IF TOTALLY SATISFIED. How many “masters” that offer seminars will do that? Finally – a kata seminar using the kata of YOUR system, as YOU perform them as a means for you to SELF-discover the hidden treasures that lie within the science of kata. 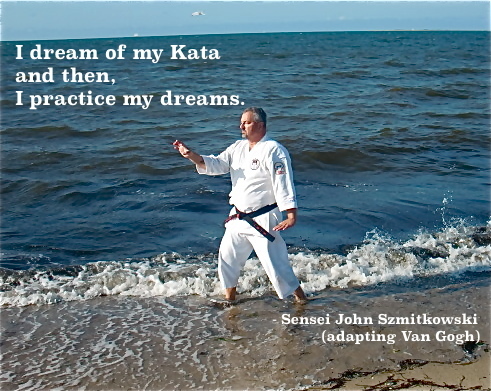 Having spent over forty years in karate-do I have always enjoyed not just kata, but what I call the “science” of kata. By the science of kata, I mean the study of kata, bunkai and related topics from not only a physical experience, but also one of the spirit. I have been extremely fortunate to have shared the experience of kata with many persons from distinct backgrounds and styles. I had enjoyed this very social experience since my earliest days of karate-do. Then, in 2004, after a geographic relocation, my kata experience was transformed from the social, public experience to a private, introspective, personal one. My years of private, introspective, almost monastic, sweat-filled, devotion and practice of kata has enriched not only my physical understanding of kata but also my inner spiritual self as expressed through kata. 7. Procedures to construct a foundation upon which to explore the inner, spiritual aspects of kata-jitsu. In addition to the seminar, each attendee that pays the seminar fee will receive a complimentary training manual (approximately 80 pages in length) featuring the seminar drills, commentary and narrative to continue your training. It is my firm belief that the formal procedures (exercises) of karate-do, called “kata” can benefit everyone without the burden of learning a complete karate-do curriculum. To this end, there are two Kata that I believe everyone can and should practice daily; Sanchin kata and Shibumi Kata. While many articles and videos are posted for free that you can learn from, there is no substitute for personal instruction. Please use the articles on Sanchin and the Shibumi Kata to stimulate you interest in these subjects. As you progress through your practice of these two kata, feel free to e-mail me below for small group instruction. Don’t know you but trained at Sensie Toms do jo in Pal Park 1968-1972 moved to Tempe in 72 saw your Kata at the lower Salt River. Small World. Don Foote Jr.